How is the Use of Deuteronomy in the Book of Mormon Evidence for its Authenticity? While making repairs to the temple in Jerusalem in the 7th century BC, workers discovered a copy of a book called “the book of the law” and gave it to the high priest Hilkiah (2 Kings 22:8). He, in turn, showed it to Shaphan the scribe, who read the book to King Josiah (v. 9). But “when the king had heard the words of the book of the law … he rent his clothes” in grief, knowing that he and his people had not kept the laws in this book (vv. 11–13). 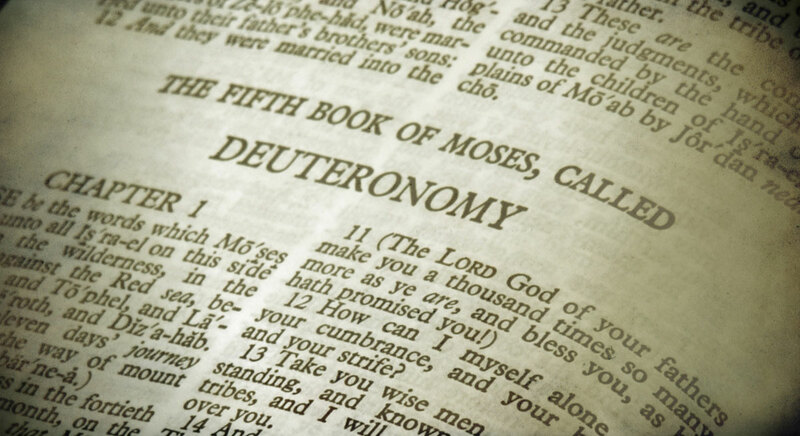 Because the Book of Mormon begins in Jerusalem in 600 BC, and because Deuteronomy was an important text in Jerusalem during that time, the use of Deuteronomy in the Book of Mormon is a subtle indication of its authenticity. The numerous relationships between the two books also show us how the Nephites incorporated some of the timeless truths of Deuteronomy into their lives, teaching us how we can do the same. For example, Deuteronomy tells us that good leaders should care more about knowing and keeping the commandments than they do about money or possessions (see Deuteronomy 17:14–20). King Benjamin clearly took this counsel to heart (see Mosiah 2:10–13). His life is an example of how we can apply Deuteronomy to ourselves and become better leaders. Another example is in Deuteronomy 31:9–13, which tells people that they should make the scriptures a focal point of their lives. Alma 5 gives practical ways in which people can make this ideal a reality in daily life. Another doctrine, found in Deuteronomy 6:7–9, states that parents should teach the commandments “diligently unto thy children, and shalt talk of them when thou sittest in thine house, and when thou walkest by the way, and when thou liest down, and when thou risest up.” Alma 36–42 is an example of how Alma obeyed this commandment and shows us how we can fulfill this commandment today as well. When we understand how the Nephites lived the commandments contained in Deuteronomy and applied its teachings to their own lives, we can have a better idea of how we can apply Deuteronomy to ourselves as well, allowing it to become an important source of insight into how we can live better lives today. David Rolph Seely, “Presentation on Deuteronomy in the Book of Mormon,” presentation given at BYU Law School, November 18, 2015, online at archive.bookofmormoncentral.org. 1. See Mordechai Cogan, “Into Exile: From the Assyrian Conquest of Israel to the Fall of Babylon,” in The Oxford History of the Biblical World, ed. Michael D. Coogan (New York, NY: Oxford University Press, 1998), 243. 2. For more on this, see David Rolph Seely, “Presentation on Deuteronomy in the Book of Mormon,” presentation given at BYU Law School, November 18, 2015, online at archive.bookofmormoncentral.org. 3. From Book of Mormon Central, “Deuteronomy in the Book of Mormon,” unpublished paper in our possession. 4. For more on Deuteronomy in the Book of Mormon, see Book of Mormon Central, “How Do the Covenants in the Scriptures Apply to Me Today? (Mosiah 7:25),” KnoWhy 369 (October 3, 2017). 5. From Drew Briney, “Deuteronomy’s Influence on Nephite Jurisprudence,” unpublished paper in our possession. See also Taylor Halverson, “Deuteronomy 17:14–20 as Criteria for Book of Mormon Kingship,” Interpreter: A Journal of Mormon Scripture 24 (2017): 1–10.